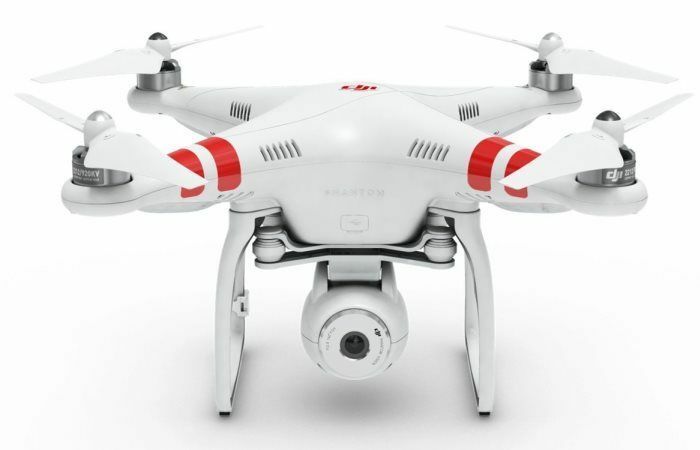 REMEMBER: This is the COMPLETE Guide to DJI Phantom 2 Vision + Quadcopter! Photos, Videos and User Feedback INCLUDED! 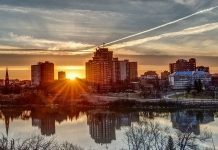 These Tips Helped Over 14,100 Readers! 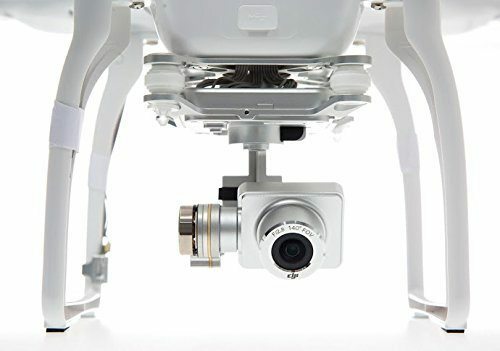 The DJI Phantom 2 Vision Plus is the upgraded version of the original Vision. 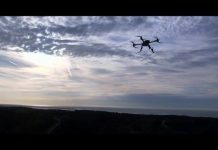 With a built-in camera, improved camera stability and the ability to see the camera’s footage in real-time, this is a copter that really gives you a taste of what autonomous drones are capable of. 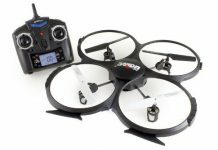 With the ability to fly up to 700m away, this quad will have you viewing the world around you in a completely new way. 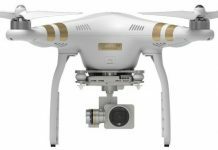 What is the DJI Phantom 2 Vision Plus? 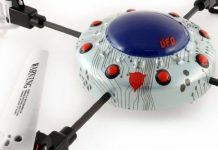 This model calls itself “your flying camera.” It’s a ready-to-fly drone that allows you to capture aerial photos and videos with superior stability and in high definition. It comes with a 3-axis camera stabilization system for smooth and clear footage every time. Using the 16 waypoint ground system, you can program it to capture photos or video from at specific GPS locations autonomously. At the same time, you can tilt the camera up or down to capture footage from new and unique angles. The GPS-based navigation built into the drone will allow you to set your flight path while the drone takes care of the rest. At first glance, you’ll see that this model really isn’t much different than the original Vision as far as appearance is concerned. Perhaps the biggest and the most important difference, is the way the camera is mounted and stabilized. With this model, the camera is mounted on a 3-axis gimbal that provides superior stability when compared to the original Vision, which only used an anti-vibration platform. You can also tilt the camera at a 90 degree angle to shoot footage directly below the copter. The gimbal also uses a gyroscope that tries to keep the camera in place while the drone is flying around and making its maneuvers. The 3-axis gimbal coupled with the gyroscope create such incredibly stable video that you have to see the footage for yourself to believe it. It comes with a GPS system that allows you to program your flight (if you’re using DJI’s Ground Station) while the drone flies autonomously. The drone can also hover at a specific height and hold its position so you can get the perfect shot for your project. The Wi-Fi extender also allows you to see what the Phantom 2 is seeing in real-time right on your smartphone or tablet using the Vision app. The Vision Plus can travel as far as 700m away. This ready-to-fly drone comes packed with features that will allow you to take aerial photos and videos like never before. 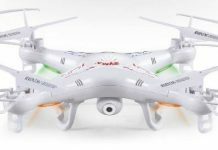 The drone uses self-tightening, color-coded propellers that are easy to install or replace. The battery pack is slot-loaded, which means you don’t have to mess with connectors. If you already know how to fly the Vision Plus, you could probably have it from box to flight in ten minutes or less. That’s how easy it is to get started. 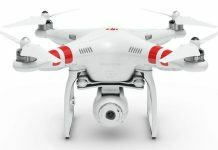 Thanks to the Return Home feature, the Phantom 2 Vision Plus will automatically return back to its takeoff point if the drone gets out of control range. With the flight radar, you can also see the current position of the drone in relation to your position. 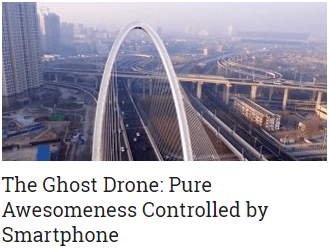 Using your mobile device, you can keep track of your flight telemetry and also see whatever your Phantom is seeing right on your device’s screen. 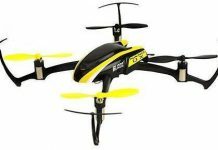 This allows you to quickly and easily view the drone’s flight distance, direction, altitude and even its speed. The Vision Plus comes with a built-in high quality camera with a 4GB micro SD card. The card is easily removed to make it easy to transfer the footage to your own device. The camera shoots footage in full 1080p HD at 30fps, or 720p at 60fps. The camera can also tilt as you fly, allowing you to capture footage from unique angles or take photos in new and exciting ways. You can even snap photos with the 14MP camera. The quality of the photos is unbelievable. Check out the gallery on the official website to see example photos. It also supports Adobe DNG Raw as well as Adobe Lens Profiles. Using the Vision app, you can customize the camera’s settings, including the ISO, the picture quality, exposure compensation, capture format and the white balance. This gives you full control over the footage you capture. It can send photos and videos directly to your smartphone using a Wi-Fi connection. Once the photos and videos are sent to your phone, you can quickly and easily share them on Facebook and other social networks. To make flying safer, this model includes a No Fly Zone feature that will prevent your drone from accidently flying into a restricted area. To take advantage of this feature, you’ll need the latest firmware update. 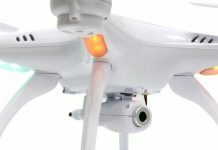 No product is perfect – not even the DJI Phantom 2 Vision Plus, but the vast majority of users love this drone and are blown away by the quality of the video it captures. 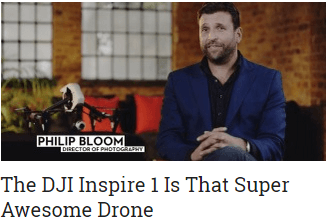 The biggest issue that users had was with DJI’s customer service. 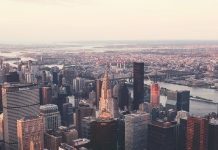 A few people noted that the company’s support team is not responsive, which can be a concern if you need to have your drone repaired or if you receive a defective drone. While customer service was an issue for some, most users had no problems at all having parts replaced. Users also complained about crashing their drone and having to make expensive repairs. It’s unreasonable to assume that if the drone crashes (due to inexperience flying a UAV), the repairs should be made for free by the company. Considering that it costs upwards of $1,200, you should expect the repairs to be costly. Inexperienced users really shouldn’t be purchasing this model anyway, especially if they’ve never flown or purchased a quadcopter before. There are a few things that you’ll need to keep in mind if you’re considering purchasing this model. For starters, this copter cannot be flown indoors unless you have ceilings that are taller than 10 feet. Also, the signal can be interrupted by obstacles and power lines. 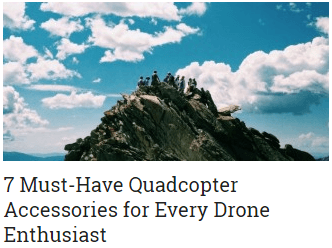 Aside from the few minor complaints listed above, this quadcopter is a truly remarkable drone that will really take your aerial photography or videography to new levels. Is this for everyone? 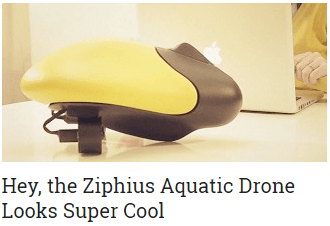 No, but it’s a great drone for anyone who’s serious about aerial photography or videography. The built-in camera is, dare we say, better than the GoPro and the stabilization features allow you to take stunning video with ease. The Phantom 2 Vision Plus definitely has our seal of approval. I use my quad for aerial photos and have even thought of developing a aerial photo business here in my local market. 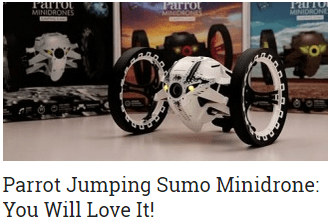 If I decide to do that these seems like the perfect drone to buy. Especially with being able to see live what you are recording it would make it easier to adjust for that just right shot. I am going to have to check into this further as it sounds like an interesting concept. I really wish you would have posted the price first! 🙂 I would have stopped reading right away and not have fallen in love with this thing! The videos are priceless and I can’t believe the range this thing has. I like the no fly zone feature on this. Do other drones have this as well? I would be worried that I fly it too far and end up getting it shot down like that other guy! lol Is there any laws on where you can fly these and not fly these in each state? I wouldn’t even know where to look! Can someone link me some info? Pairing my new controller, I am only getting the camera to respond, nothing else works.. Any ideas?